With a wide spread beam, a 20 degree horizontally adjustable mount and a stretchy silicon skin that lets you mount it in a multitude of ways the GUEE Camaro LED front light is a durable be seen LED light thats about as fit and forget as they come. Fits almost anywhere with multi-size bound and twist mount. 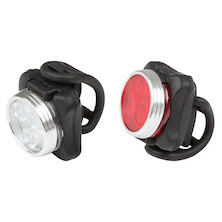 A powerful, rechargeable, front bike light featuring COB chip-on-board LED technology for maximum brightness and efficiency in a small package size. Squeezed into a robust silicon housing the Guee COB-X delivers an IPX4 weatherproof rating, plenty of lumens and a surprisingly quick charge time to make it a real winner. 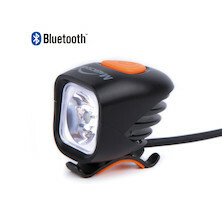 Rotation-tastic powerful LED front bike light from GUEE that puts out plenty of Lumens to make sure you can be seen on the road. 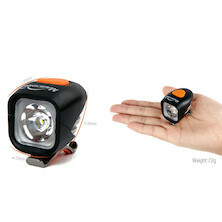 With a USB rechargeable Li-poly battery and twin LED design its easy to see why its such a great seller. 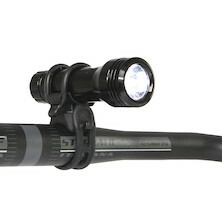 Innovative, space saving mount that declutters your bars by integrating a Quad LED front light with a versatile bike computer and action camera mounting system. Ships with Garmin mount interface for GPS units. Underslung action camera mounting plate is an accessory purchase. 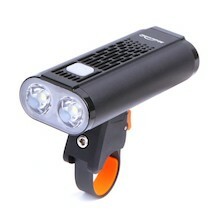 Elegant and compact 300 Lumen front mounted LED bike light from Guee. The Sol 300 offfers multiple illumination modes at the press of a button and is housed in a tough alloy chassis on a 360 degree adjustable bracket. 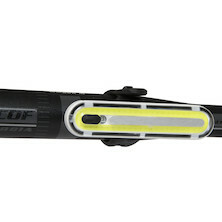 The Guee Sol 700Plus Ambient Front light is a self-contained, high lumen and durable light. The Sol 700 suits every type of riding and rider, wired up with 6 different modes you can pick the correct setting for the conditions you are in. 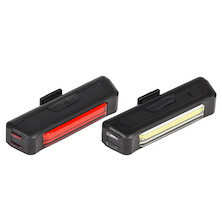 With a tool Free mount you are able to swap the light between bikes in a matter of seconds making it a super versatile light. The body of the light has been constructed from a CNC Machined Aluminium which means the powerful headlight is durable, strong and lightweight. 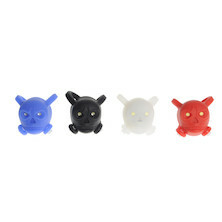 Our favourite single LED light updated for mobile device connectivity. It's a real powerhouse perfect for any ride, on or off-road. The Gemini XERA comes with 10 levels of programmable brightness, giving you the flexibility to extend your run time, or increase your visibility, to suit the conditions and your needs.